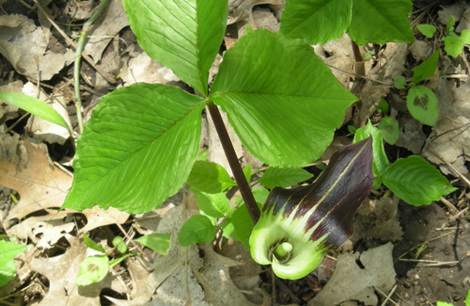 ​Jack-in-the-pulpit prefers shaded, wet areas in the forest. We tend to forget the importance of plants and often take them for granted. You may think there is nothing much to the plants and trees that are around us everyday but they are vital for life and our long-term survival. Plants are an essential resource; we rely on them for food, water, medicine, the air we breathe, habitat and our climate. In addition to all of these benefits they are important for our well-being. Click on a type of plant to jump to that section. 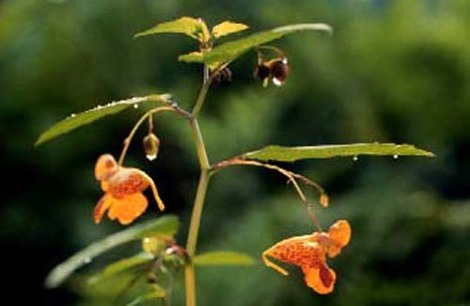 Jewelweed, or Touch me not, has pretty orange flowers and is named for the way water beads up on its leaves.